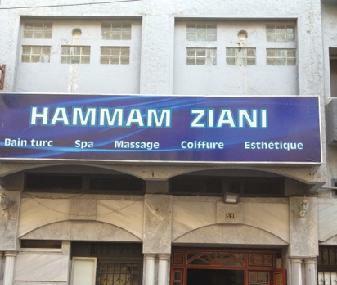 If you are looking for a much needed massage, HamamZiani is the place for you. Located at the heart of the city, the Hamam is a one of its kind- offering services which are sure to ease out all the built up stress. Do try their signature Seaweed Therapy along with a relaxing massage while you sip on some authentic Moroccan Tea. Do try to book an appointment with the Hamam over the phone even though walk-in services are available. Visit the official site for details on services and prices. Call up the Hamam to know about timings and appointments. How popular is Hamam Ziani? People normally club together Casablanca Cathedral and Royal Palace Or Palais Royal De Casablanca while planning their visit to Hamam Ziani. Great experience. Very safe. There is locker and you keep the key. Complete service at a very good price. Only accept cash in local currency. The ladies do very good scrub and massage. Definitely will come back again! So I had not planned on visiting a Hammam while in Morocco, my fiancé managed to get me here. While I was nervous to begin with, not knowing what to expect and completely unprepared, I genuinely loved it. The staff were exceptional! I speak less than no French, and was able to communicate, sometimes with hand signals. But wow, I cannot wait to come back, my skin and hair feel incredible. Just for first timers and underprepared people like me, bring a change of underpants. Very good service and the ladies are amazing in their job scrubbing you and doing full body treatment. Absolutely fantastic hammam experience. The staff were extremely friendly and kind, and I was able to get by with extremely limited French, which was great. Most importantly, I left feeling really refreshed and clean! The scrub left my skin feeling incredible, and the massage was just the thing I needed after a long day of walking. Would definitely recommend to visitors curious about the hammam experience. Importantly, if you purchase one of the packages, you do not need to bring anything. A bathrobe, a wrap to wear while bathing, and a scrubbing mitten are all provided. Lockers are provided to secure your clothes, bag, and anything else you may have with you.